It’s been a number of months since the Adapt community met together in London. At that time all agreed regular face-to-face meetings would be beneficial. We’re fortunate to have LearnChamp taking the lead. 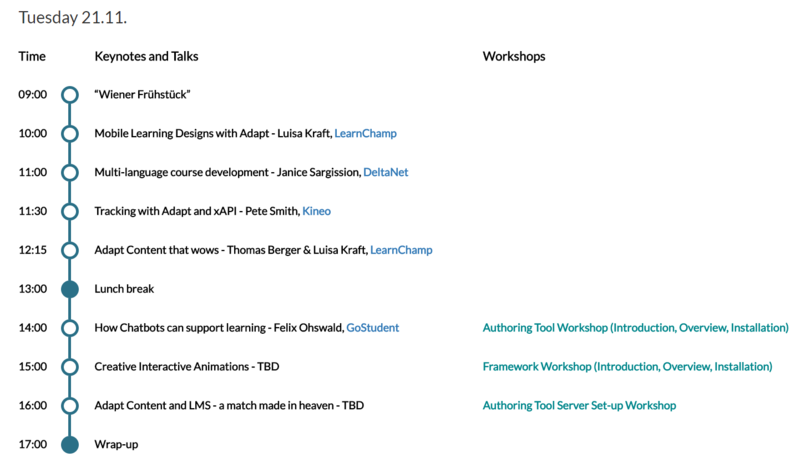 LearnChamp, an Adapt collaborator, is hosting a two-day meetup in Vienna on November 20-21, 2017.
eLearning course authors and developers are invited to discuss the Adapt Framework and Authoring Tool, as well as potential use-cases and challenges. Jump into two days of talks and workshops, deep-diving breakout sessions, and, most importantly, fun, friends, and food. 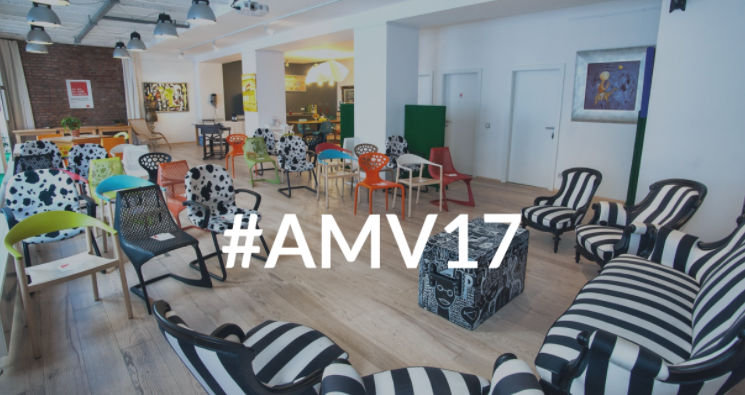 #AMV17 will be offering a platform for developers to discuss issues and roadmap topics in a face-to-face format. It’s an ideal time for users who are German-speaking and from Eastern Europe to explore Adapt. Additionally, the event will be a chance for new users to meet some of the core developers and people involved in the project. Adapt is the leading tool for creating fully responsive eLearning content. Don’t let installation and set-up issues keep you from seeing why. The breakout sessions will help you get up and running and give you the opportunity to discuss topics especially relevant to you. There’s more to #AMV17 than just great content — it’s also a lot of fun! After a day full of inspiring inputs, an evening packed with delicious food, mulled wine, networking and the magic of Vienna’s Christmas markets await the #AMV17 community. This event really puts our open source project and its products in the spotlight. Don’t miss this opportunity to interact with experienced developers and new users alike. Already using Adapt? Share your experiences and find out how your own contributions can make a difference. Still hesitating? The two-day format will give us time to socialise, too. Hit the beautiful Christmas markets in Vienna. Or grab a couple of mugs of mulled wine — “Glühwein” in German — and mull over some great ideas for Adapt. For more information go to: vienna.adaptmeetup.com or register here.